HomeNews ArticlesLooking for modern uPVC windows? Find out more about our Slimline windows! Aesthetic features that are associated with a modern or contemporary style include clean, slender lines. As a general rule, aluminium windows tend to have slimmer frames than other types of window so they’re better suited to this look. However, our slimline windows feature ultra-slim profiles, just like aluminium windows, allowing them to achieve a contemporary aesthetic just as well. The added bonus of these slender profiles is that they enable us to fit them with 12% more glass than a standard window. So, they’re much better at brightening up your home than other uPVC window systems too. 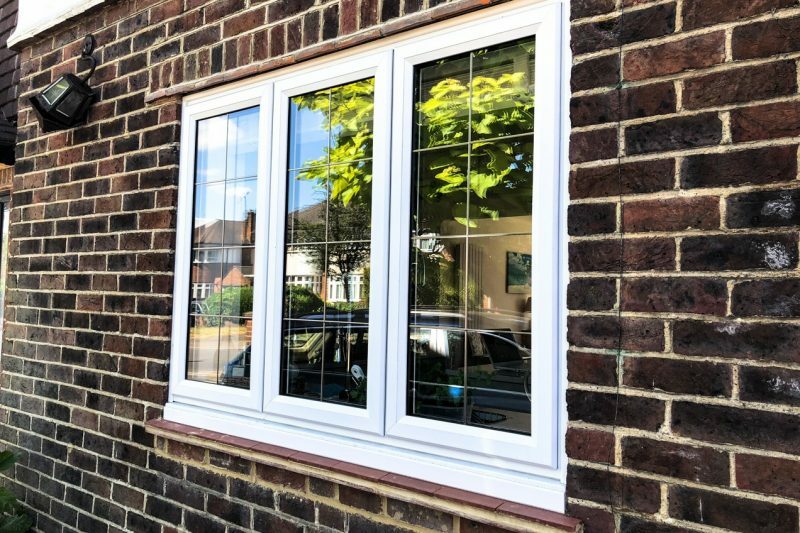 Although uPVC is a natural insulator and has always insulated homes very well, modern advancements in technology have enabled our slimline windows to truly excel in this aspect. In order to comply with Building Regulations, replacement windows must have a Window Energy Rating (WER) of at least C. However, Sheerwater’s slimline uPVC windows are fitted with innovative, heat-trapping chambers, helping them to achieve an energy rating of A+. So, not only do they meet the insulation requirements of today’s windows, they’re fit to meet any future ones too. Security glazing that prevents the glass from being removed. The combination of these features is a window that is as secure as any modern window system on the market. In addition to keeping uninvited visitors from entering your home, they’ll also keep out the weather and any draughts. This is thanks to bubble weather gaskets that form a perfect seal when the windows are shut and our purpose-built drainage system, which diverts any water away from your home. As you would expect from any uPVC window, any grime can be wiped away with complete ease, so the upkeep they require is nice and low too. If you’re looking for modern uPVC windows, look no further than slimline windows that are available exclusively from Sheerwater Glass. Give us a call on 01932 344 415 or contact us online and arrange for us to fit some on your home today!